Aretha Franklin, known as the “Queen of Soul”, has been remembered as an “inspiration”, “a rare treasure” and “one of the all time greats” in the tributes that have poured in after her death. The cultural icon, whose 1967 signature song, “Respect”, became a rallying cry for the US civil rights movement, passed away in Detroit, Michigan on Thursday morning after battling advanced pancreatic cancer. “In one of the darkest moments of our lives, we are not able to find the appropriate words to express the pain in our heart,” Franklin’s family said in a statement. “We have lost the matriarch and rock of our family,” he said. Bernice King, the youngest daughter of Martin Luther King Jr, said on Twitter that beyond having a “tremendous singing voice”, Franklin was a “voice of the Civil Rights Movement” and an “instrument”. Franklin was a friend of the late King, singing an emotional “Precious Lord, Take My Hand” at his funeral service in 1968. Franklin also sang at the 2009 inaguaration of former President Barack Obama, who described her as someone who “helped define the American experience”. “America has no royalty,” Obama said in a statement after Franklin’s death. “But we do have a chance to earn something more enduring,” he added. Dozens of artists – many of whom peformed with Franklin over the years – took to Twitter to share their condolences and memories of the global icon. Fellow American singer, Patti LaBelle, said the “world has experienced a tremendous loss”. “Aretha was a rare treasure whose unmatched musical genius helped craft the soundtrack to the lives of so many,” LaBelle tweeted. “She will be missed but the memory of her greatness as a musician and a fine human being will live with us forever,” he tweeted. Other stars, including Elton John, John Legend, and Bette Midler also took to Twitter to remember the Queen of Soul. Franklin’s fans flooded social media with tributes, many describing the effect her music had on their lives. “Thank you Aretha Franklin for getting me through tough days,” Twitter user, Pablo, said. Another user, Lady_C, also thanked Franklin “for being a blessing in my life and brightening the darkness that was there”. First time I heard her song RESPECT I sang it every day for weeks on end, my mum got so irritated with me. Thank you Aretha Franklin for being a blessing in my life and brightening the darkness that was there. In New York City, fans turned the Franklin Street subway stop into a memorial for the icon. Others shared their favourite songs. 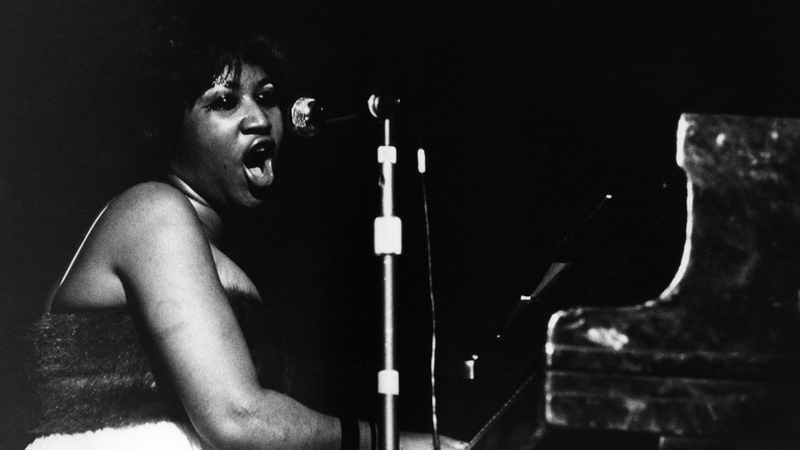 A good way to tell what a unique talent Aretha Franklin was is that everyone has a different favorite performance to post today. Will drug-testing kits for university students actually improve safety?